What are the chances your future husband is trying to meet you online? One study suggests that it could be as high as 33%. 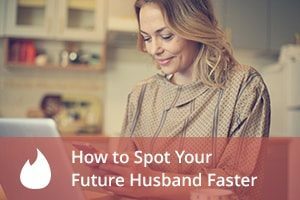 But, if your future husband is online, how in the world are you going to find him? Have you seen all the potential matches out there? There are too many to sort through. Dating sites can’t do the work for you. They can suggest matches but can’t predict chemistry. There are too many variables to consider. Is your ideal partner near your age, or is he just outside of your ideal age range? Does he live within 30 miles of you, or does he live across the country? Does the camera love him, or will you pass over him because his profile pic is unflattering? Will you message him back, or will you ignore him because he can’t spell? The human mind isn’t built to cope with questions like that. 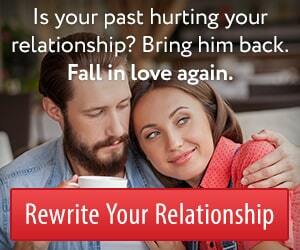 Worse yet, if you consistently pick the wrong guys, you’ll waste your time on endless messaging and fruitless dates. You’ll become discouraged, frustrated, and sick of trying. Maybe the day you let your online dating membership expire is the day he tries to get in contact with you. Luckily, your brain has a friend that knows exactly what to do. Ever know something “in your gut”? That’s not just a figure of speech. System 1 is your gut or intuition. It’s what helps you make quick decisions, like whether to go for the chicken salad or double cheeseburger. You don’t have to think. You just feel the right answer. Unfortunately, the “right” answer may actually be wrong, and that’s where System 2 comes in. System 2 is your rational brain. The educational system taught you that System 2 is the only correct way to make a decision. Without reason, logic, and facts, you’re just guessing. System 2 oversees our gut decisions. Perhaps your gut is urging you to move in with your boyfriend, but you write down a list of pros and cons to determine whether it’s really a good idea or not. As great as it sounds, System 2 is remarkably bad at picking romantic partners for us. Your gut is louder than your brain. Once it decides, its decision sticks. So what does all that mean for online dating? And how does it help you find the perfect guy faster? When you’re earnest and careful about evaluating the merits of each and every guy in your online dating feed, you’re employing the wrong decision-making system. You’re trying to use System 2 for a System 1 job. Your gut can come to a conclusion about a guy in a tenth of a second. It doesn’t need more information. Incidentally, that’s why Tinder works so well. It gives you everything you need to make a first impression and doesn’t distract you with potentially misleading biographical details. While System 2 thinks it’s very important to know his job, education, and hobbies, System 1 doesn’t care. System 1 just wants to know how you feel when you look at his profile pic or chat with him. Here’s how you use your decision-making systems to your best advantage. You use your gut to skim quickly through as many potential matches as possible. You broaden your search criteria, because you can skim 100 profiles in the time it would take you to read 10. You trust your gut to give you the green light you need, by paying attention to how you feel as you absorb each profile. If there’s a yucky feeling, or any tension or weirdness, you move on. You’re looking for someone who feels good. Something about him makes you feel comfortable, or he seems familiar somehow. Once you’ve green-lighted a guy, you’re not done yet. You let your rational brain double-check your gut decision. You find out more about him. 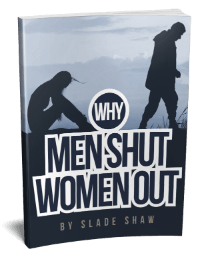 You go out on a coffee date and ask those System 2 questions to determine whether you’re lifestyles are compatible. Using your two systems together keeps you from falling for a guy who feels good but is oh-so-wrong for you. You waste less time with candidates who look good on screen but don’t do anything for you in terms of desire. Which means the distance between you and Mr Right isn’t as far as it seems. This entry was posted in Dating, Relationships and tagged finding a husband, marriage by James Bauer. Bookmark the permalink. We thank you for your comment. Someone from our customer service department will contact you shortly to help you with your questions. If you have any further questions please email them to support@beirresistible.com.